The partial government shutdown is in day 30 of the longest in U.S. history. 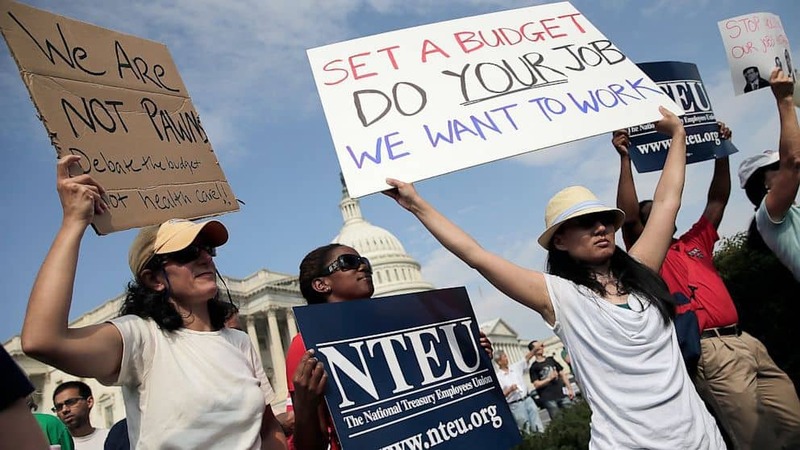 According to the U.S. Department of Labor, over 10,000 applications for unemployment compensation were received from federal employees in the first week of the year, a number which doubled from the week before. Those who have been required to continue work without pay aren’t even eligible to receive unemployment benefits and some who are furloughed can’t get aid quickly because public assistance agencies have been bombarded with applications. Experts say the government shutdown has cost federal contractors up to $6 billion already, as a Bloomberg News analysis reported the shutdown is losing them a total of over $200 million a day. These contractors are unlikely to get back pay when the shutdown is over, unlike the furloughed federal employees who are also currently going without pay. President Trump has maintained his demand for $5.7 billion to build a border wall before the government is reopened and continues to make clear he will agree to no other resolution. Speaker of the House Nancy Pelosi is one of many who has consistently protested his decisions regarding the wall and shutdown but has offered the president other resolutions to reopen the government. This week, Trump indefinitely delayed Pelosi’s military flight to a war zone in Afghanistan until the government is fully open. 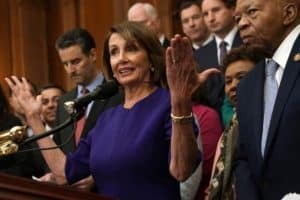 Pelosi claimed the administration then leaked her subsequent plan to fly commercially and compromised the safety of not just herself and those who would accompany her, but also airport staff and passengers. The White House further prohibited congressional delegates from the use of government aircraft without approval from the chief of staff during the shutdown. Around the same time, Melania and Barron Trump departed in a military plane on a tax-paid flight estimated to cost around $35,000 for a leisurely weekend at their Mar-a-Lago resort. White House Press Secretary Sarah Huckabee Sanders claimed Pelosi’s allegation about the information leak was false and that Trump wanted the Speaker in D.C. to negotiate on reopening the government. However, others speculate that Trump’s decision was in retaliation for Pelosi’s suggestion that this year’s State of the Union address before Congress be postponed until the government is opened. If the traditional address is held as scheduled, federal workers like Secret Service and Department of Homeland Security will be required to work at the event, even if unpaid, to protect the president in a highly vulnerable moment. Next, Trump announced that he was offering a compromise, stating that “both sides in Washington must simply come together” to end the shutdown. His proposal still includes $5.7 billion to fund construction of a “concrete barrier from sea to shining sea”, but he suggested exchange for an additional three years protection for DACA recipients and an extension in protection for those with Temporary Protected Status. President Trump turned to Twitter to express his disgust at Pelosi and Democrats for rejecting his proposal “before I even got up to speak”. He concluded by stating “they should do the right thing” and approve his offer, further suggesting it’s the only way furloughed and unpaid workers can get back to work and paid. Meanwhile, at the border, 376 people entered the U.S. from Mexico by digging under a section of the border wall in a lightly monitored 26-mile rural area in Arizona. The group, including 179 children, was primarily made up of families of asylum seekers from Guatemala and 30 children who were traveling unaccompanied. 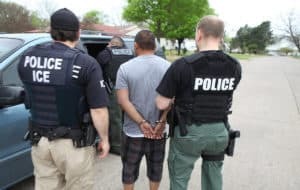 They immediately turned themselves into U.S. Customs and Border Protection. According to ABC News, the hundreds of asylum seekers were held in separate “cells with thick glass windows” while agents worked to process them and provide for basic and medical needs. Detainees were required to “eat, sleep and use the bathroom in the same room” while they awaited processing. Border Patrol in New Mexico recently took in 247 people who crossed near a port of entry. Many were in need of medical care and the group also surrendered to agents right away, as a vast majority reportedly do. Senate Majority Leader Mitch McConnell could override Trump’s veto of a spending plan but has stated that he won’t consider any legislation that Trump won’t sign. This is a clear indication that McConnell stands with the president in allowing the shutdown to continue until a resolution includes the wall. While hundreds of thousands of federal employees continue to go without pay, McConnell could be stepping back and saving face for his 2020 re-election campaign by not challenging Trump on the ramifications of allowing the shutdown to drag. McConnell represents Kentucky in the Senate, a state where Trump is more popular than him, so it’s likely the president’s endorsement will be valuable when he seeks re-election. That may or may not be related to his deference to Trump’s wishes while furloughed workers have gone nearly a month without pay. A report from BuzzFeed claims Trump instructed former attorney Michael Cohen to lie to Congress regarding plans and negotiations to build Trump Tower in Moscow. Two federal law enforcement officials involved in a related investigation reported that Ivanka and Donald Jr. were also regularly updated by Cohen on developments in building plans. Allegedly, special counsel Robert Mueller holds substantial evidence to show the Trumps were heavily involved in negotiations for the Moscow project while the future president was simultaneously denying involvement with Russia during his presidential campaign. In response to the report, Trump’s lawyer Rudy Giuliani dismissed Cohen as a convicted criminal and a liar, and Trump tweeted a similar message in which he also accused Cohen of lying for a lighter sentence. However, the new information indicates that Cohen may have simply confirmed what Mueller already knew in admitting that he lied to Congress regarding some of Trump’s activities and communications with Russia. 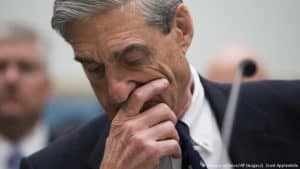 In a rare statement from Robert Mueller’s office, Special Counsel refuted the veracity of the article, claiming “characterization of documents and testimony obtained by this office regarding Michael Cohen’s Congressional testimony are not accurate.” BuzzFeed editor-in-chief proclaimed that he stands by the story and the sources who provided information, and asked Special Counsel to further specify what information was being disputed. The White House has announced a second summit between President Trump and North Korean leader Kim Jong Un will take place in February in a location to later be decided. 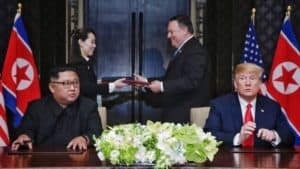 The decision was announced after Trump and Secretary of State Mike Pompeo met with North Korean envoy Kim Yong Chol in D.C.
A recent Missile Defense Review released by the Pentagon makes clear that North Korea remains an “extraordinary threat” to our country after Trump declared that all nuclear danger from North Korea was eliminated during his first summit with Kim Jong Un. That summit was held in Singapore not even a year ago, and there has never been any evidence to substantiate Trump’s claim that North Korea would be denuclearizing. Many Democrats are seeking to penalize King’s racist remarks by censuring him. James Clyburn of South Carolina, the highest-ranking African-American in Congress, introduced a resolution of disapproval of King’s comments as well as the bigger problem of white nationalism. King has been encouraged by Republican colleagues, as well as others, to resign. Regarding King’s re-election, the National Republican Congressional Committee said through their spokesman: “The N.R.C.C. does not get involved in primaries and isn’t going to comment on a hypothetical general election two years away”. At this point, it will be up to voters in Iowa whether or not to remove him.